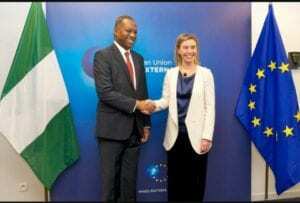 The European Union on Thursday in Abuja re-affirmed its commitment to Nigeria’s electoral process with a €26.5m grant. The EU Ambassador to Nigeria and ECOWAS, Mr. Ketil Karlsen, made the disclosure at the launch of the EU Support Programme to Democratic Governance in Nigeria. Karsen said the electoral process, which would be funded over a period of five years, was aimed at promoting transparent, inclusive and credible elections. “The overall objective of the EU-SDGN is to contribute to the reinforcement of democracy in Nigeria through building strong, effective and legitimate democratic institutions. “Ahead of the 2019 general elections, Nigeria is at a pivotal moment that allows the country to take important steps to consolidate democracy and strengthen the electoral process. 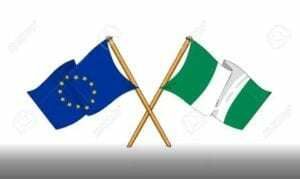 “The EU continues to partner with Nigeria in the on-going reform process, with a view to strengthening the capacity to conduct well-managed elections with ample participation of all Nigerians. 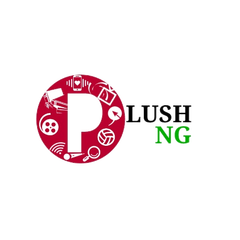 For this to happen, all must contribute, from the key institutions to the political parties, candidates, media and civil society.’’ Karlsen said the project would be anchored in the priority areas identified by the Nigerian government.